Many mornings in Rocky Mountain National Park dawn cloudless. While nobody will ever complain about a sunny bluebird mountain day, clouds help make iconic views even more dramatic. This particular morning the clouds over Hallet Peak just below Dream Lake were impeccable. 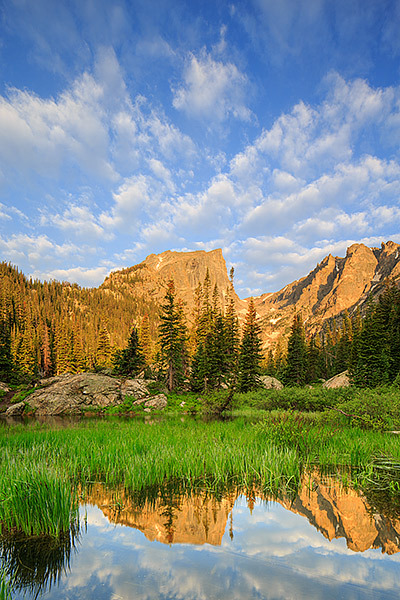 The clouds drifting over Hallet Peak and reflecting in this small tarn made for a perfect morning of photography in Rocky. Photo © copyright by Thomas Mangan.